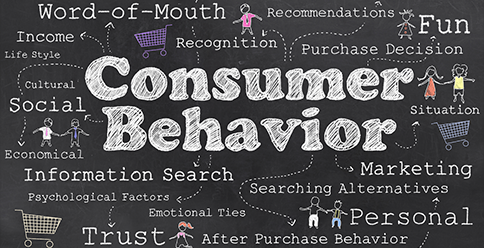 In this article we look at the Principles of Psychology in Marketing. Understanding how and why people think and act in the way they do is one the key parts of marketing. It is much harder to create compelling content if you are unclear on why it would be compelling to your target audience. This is where psychology comes in, understanding the key principles of psychology can improve your marketing success. This is because your target audience is reading and identifying with your content. Engaging and connecting with your target audience can lead to an increase in word of mouth marketing (online and offline), brand loyalty and sales. Let’s take a look at the some of the basic principles of psychology that should be considered in your marketing strategy. Priming refers to an increased sensitivity to certain stimuli due to prior experience. Because priming it believed to occur outside of conscious awareness, it is different from memory that relies on the direct retrieval of information. Using subtle priming techniques, you could help your website visitors remember key information about your brand and maybe even influence their buying behaviour. The concept of reciprocity is if someone does something for you, you naturally want to do something for them. The best example of this in marketing is incentive based Facebook campaigns. This is where a business will offer the chance of winning a prize in return for likes and comments. This is actually a very clever way to encourage page engagement and increase brand awareness. Social proof is the belief that people will adopt the beliefs or actions of a group of people they trust. This is one the reasons why social media is an effective marketing platform. Implement social proof simply by adding social share buttons to your blog content. These will display the number of times a piece of content has been shared. Content that has already been shared is more likely to be shared by new visitors. What we talk about influences people’s opinions of us, most people would rather look interesting than boring, rich than poor and cutting edge than out of touch – this is social currency. Knowing about the latest products or ‘secret’ places gives the impression that a person is in the know. Creating content that helps people to achieve these desired impressions will increase the likelihood of people sharing your content – and get people talking about your brand. This psychology principle goes back to the simple formula of supply and demand: The more rare the opportunity, content, or product is, the more valuable it is. In short, scarcity creates demand. Large retail brands have started displaying messages such as “only 2 left in stock” on product listings. This is designed to create scarcity and affect the customer’s buying decision.